BEIRUT—ISIS terrorists killed more than 200 people in a coordinated assault on a government-held area of southwestern Syria on Wednesday, local officials and a war monitor said, in the group’s deadliest attack in the country for years. Jihadist fighters stormed several villages and staged suicide blasts in the provincial capital Sweida, near one of the few remote pockets still held by ISIS after it was driven from most of its territory last year. 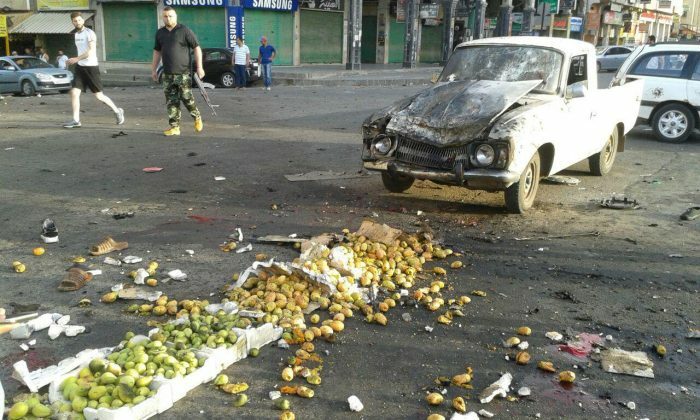 The head of the Sweida provincial health authority told the pro-Damascus Sham FM that 215 people were killed and 180 injured in the attack, as well as 75 ISIS members. The Syrian Observatory for Human Rights war monitor said the attackers had killed more than 200 people including many civilians. ISIS said in an earlier statement that it had killed more than 100 people in the attacks. Photographs distributed on social media, which Reuters could not independently verify but which the Observatory said were genuine, purported to show the bodies of ISIS terrorists hanged from street signs by angry residents. ISIS lost nearly all the territory it once held in Syria last year in separate offensives by the Russian-backed army and a U.S.-backed militia alliance. The air force pounded militant hideouts northeast of the city after soldiers thwarted an attempt by ISIS to infiltrate Douma, Tima and al-Matouna villages, state media said.